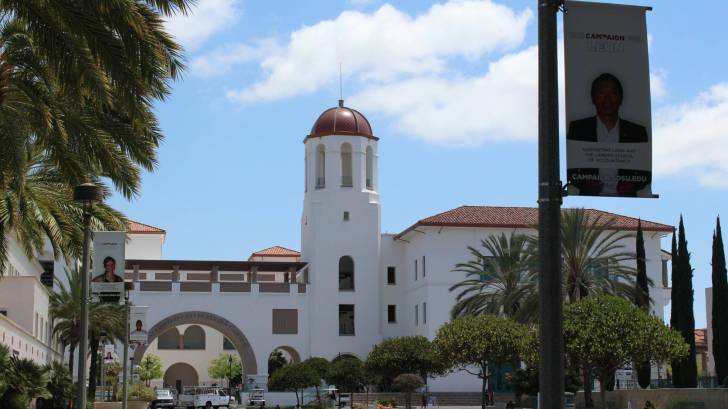 The San Diego County Public Health Services (SDCPH) confirmed the 3rd case of meningococcal meningitis at San Diego State University (SDSU). This SDSU student is currently undergoing treatment at a local hospital on September 27, 2018. Health officials have confirmed that this new case and the 1st case confirmed in early September 2018 are both caused by serogroup B meningococcus. Additionally, county public health officials disclosed a 3rd confirmed case diagnosed in June 2018. ‘The county did not previously announce this case because there was no public health risk at the time,’ said SDCPH in a press release. These 3 cases occurring in the SDSU undergraduate population in a 3.5-month period have been determined to be an outbreak by the SDCPH Officer. This means all SDSU undergraduate students under 24 years of age who have not been immunized against meningococcus B (MenB) are highly encouraged to get vaccinated with 1 of the 2 available meningococcal B vaccines. But, SDCPH Services currently does not recommend SDSU graduate students, faculty or staff receive the meningococcal vaccine, unless they are at increased risk, which the CDC defines. Bexsero and Trumenba are serogroup B meningococcal vaccines approved by the Food and Drug Administration (FDA). For the best protection, more than 1 dose of a serogroup B meningococcal vaccine is needed. The same type of vaccine must be used for all doses. Meningococcal disease usually presents clinically as meningitis (about 50% of cases), bacteremia (38% of cases), or bacteremic pneumonia (9% of cases), says the FDA. N. meningitidis colonizes mucosal surfaces of the nasopharynx and is transmitted through direct contact with large-droplet respiratory tract secretions from patients or asymptomatic carriers. The early symptoms usually associated with meningococcal meningitis include high fever, severe headache, stiff neck, rash, nausea, vomiting and lethargy, and may resemble the flu. Because the disease progresses rapidly, often in as little as 12 hours, prompt diagnosis and treatment are critical to recovery. SCSU students are encouraged to review online FAQs for details about meningitis, public health preventive measures, and vaccination information. Students who would like to be immunized immediately may access the vaccine through their primary health care provider (learn how via SDSU Well-Being and Health Promotion) or by visiting a local pharmacy. Students are encouraged to call the pharmacy in advance to confirm the vaccine is available and that their insurance is accepted. Students may also receive the vaccine at Student Health Services for a fee. If SDSU students have questions, call Student Health Services at 619-594-4325.